New rules introduced in Scotland to improve household safety could be even tighter, according to an industry specialist. Under the regulations, every home in the country must have a smoke alarm fitted in the living room and in areas such as hallways and landings. There must also be carbon monoxide (CO) alarms where there are fixed combustion appliances. Until now, such standards had only applied to private landlords and new builds but, as of February 2021, will apply to all homes in Scotland. “While these new regulations are to be welcomed and are ahead of England and Wales, they still do not go far enough. John was the first person in the UK to sell carbon monoxide alarms to the public in volume by mail order, sat on the first British Standards Committee for CO alarms and acted as a Government adviser on alarm legislation. 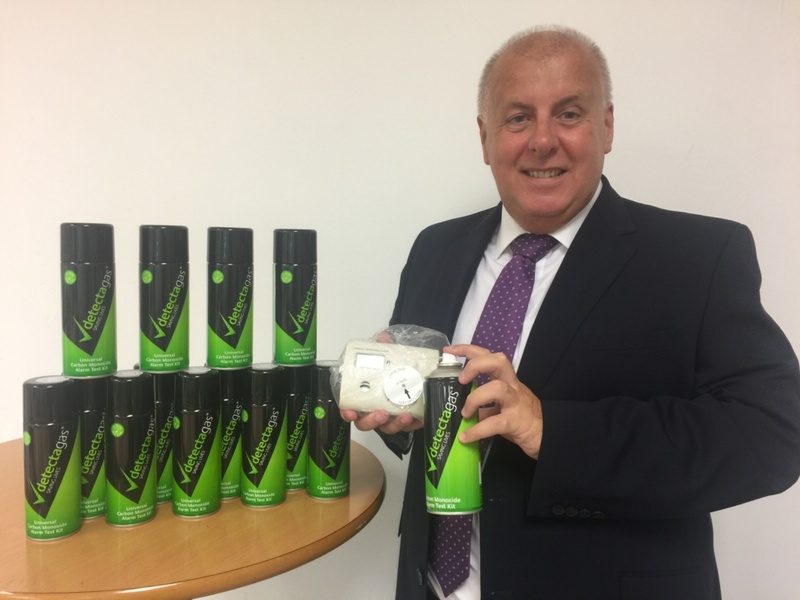 He moved his business away from alarms to develop a range of products aimed at ensuring that the sensors on CO alarms were working properly. Gas Safe Europe’s award-winning products, including Detectagas for CO alarms and Detectasmoke for smoke alarms, are now widely used by fire and security and health and safety and maintenance companies to test alarms to ensure they can detect traces of gas and smoke. “Research has shown that around 15% of CO alarms are defective before they even get out of the box and a further 45% have been found to fail within three to four years – despite the 10 year warranties given by the manufacturers with their alarms. “Just because the battery is working does not mean you are safe. Without a fully functioning CO sensor, the alarm is not going to warn a homeowner or tenant that they are at risk from deadly CO.
Detectagas, the company’s first product, checks the battery and sensor in alarms in one test by injecting a specific and safe level of test gas into a specially designed transparent cover over the alarm. Detectasmoke is used by maintenance companies to test smoke alarms in multi-occupational housing and offices. Other products, including Detectaleak and Detectadusta, were subsequently developed due to customer demand.